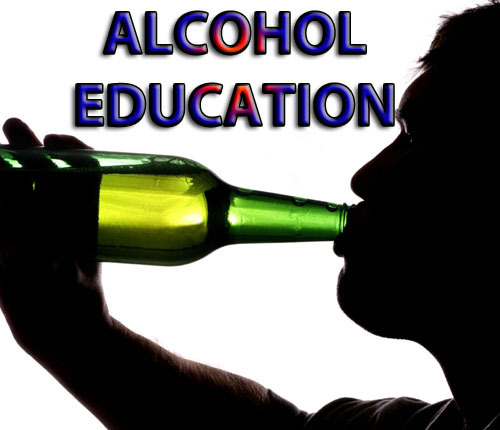 There are 6 different Alcohol Education programs in California that can either be ordered as a condition of probation with a DUI conviction or can be required to be completed as a term of probation for various other, usually driving or alcohol-related convictions. After a Driving under the Influence conviction, the DMV will often require a completion of AB 541 or SB 38 program prior to re-issuance of the driver’s license. I summarized and listed the programs below from the easiest to the hardest. Most of the programs are offered by private commercial entities and thus vary in price and format. Out of 472 licensed DUI programs in 58 California Counties, some are better! Los Angeles DUI Attorneys will not only fight to get you the easiest of the programs or no program at all, but will also recommend which program to take and which to avoid. What Alcohol Education Program Do I need to do after a DUI in Los Angeles? SB 1176 is the easiest alcohol education program and is commonly ordered as a term of the probation after a “wet reckless” plea. This program is not available after a DUI conviction because by law a DUI conviction has to be accompanied by a more rigorous program. The only requirement to complete an SB 1176 program is a completion a 12 hours of lectures otherwise known as “educational component of the AB 541”. AB 541 program is required to be completed as a term of the probation for a first offense driving under the influence conviction with a blood alcohol concentration below .20% and where the defendant did not refuse to take the chemical test after the arrest. In the Los Angeles County AB 541 is 3 months long and consists of 12 hours of alcohol and drug education, 18 hours of group counseling, and 3 individual counseling sessions. This program was replaced by a 9-month program also known as AB 1353. AB 762 is a better alternative then an AB-1353 9-month program and is used mainly as a plea bargain tool when the prosecutor insists on a 9-month program. AB 762 consists of 12 hours of alcohol and drug education, 36 hours of group counseling, and 4 individual counseling sessions. AB 1353 is another variation of a first time DUI offender program. A previously used six months AB 762 program was replaced by this program on September 20, 1995. In addition to all of the requirements that a six-month program has, this program has an additional 10 hours of group counseling and 9 additional individual counseling sessions making this program a 60 hours alcohol and drug education and counseling program. For anyone who has more then one DUI within ten years counting from the date of the offense to the date of the offense, the court, upon a conviction may order an 18-month program, also known as SB 38. SB 38 consists of 12 hours of alcohol and drug education, 52 hours of group counseling, 26 individual counseling sessions during the first 12 month of the program, and a 6 one hour community reentry monitoring sessions of one session per month during the last 6 month of the 18 month period. Los Angeles County is one of few counties that offer a 30-month program. 30-month program is discretionary with the courts and is an alternative sentence under a 3rd offense DUI sentencing scheme. The program requirements are 78 hours of group counseling, 12 hours of alcohol and drug education, 120-300 hours of community service, close and regular individual interviews. Each Alcohol Education Program is a bargaining tool in a DUI prosecution. For example, a 30-month Alcohol Education Program is a part of a 30/30 program where a defendant instead of being sentenced to 120 days in the county jail will only spend 30 days in the county jail and complete a 30-month program. Contact (818) 921 7744 Los Angeles DUI Attorney now for a free consultation about your DUI case. We provide quality representation at an affordable price. The California DMV will require a convicted driver whose BAC level was .08 or higher to enroll in the AB-541 Three-month program-regardless if the court convicted you of a wet/dry wreckless offense. The SB-1176 is not considered to be a drinking driving program, according to sources at the Calif DMV. Each drinking driving program requires a certain number of hours for each. Each individual DUI school will determine the type of activities attended to satisfy those requirements. The information for this can be found in Title 9 of the California Code of Regulations, Chapter 3-PROGRAMS FOR ALCOHOL AND DRUG IMPAIRED DRIVERS . In reference to your first paragraph, on many occasions I was able to negotiate 6 month programs in various courts. As I explained, 6 month program is no longer statutory available; however, for disposition purpose it is still used extensively. Most recently I had 6 month program ordered for a client in Metro. You are also very wrong about your paragraph 2. The DMV will not require enrollment into any program upon a wet reckless plea. Please reference CVC 13350 – CVC 13352 deals with that DMV will and must do upon receipt of record of various convictions. In essence, the clerk of the superior court will submit record of conviction of specified offenses to the DMV. The Statutory Scheme of CVC 13350 – CVC 13352 includes many offenses including DUI, DUI with injury, reckless driving under 23109(a), hit and run, ADW with a vehicle, manslaughter etc. However, it does not reference CVC 23103.5 unless it refers to priorability. I agree with paragraph 3 – but it is really not central to my article. I welcome any further comments or authority to the contrary.